My cousin James has an obsession with puns. His wordsmith abilities often astound us all yet his ability to tirelessly continue on despite only a token of appreciation and acknowledgement are qualities to be admired. I'm sure Baden Powell could have used such a person in times of rumbustion at Boy Scout camp outs. I have just returned from honeymoon in Britannia Bay and spent a week relaxing and marveling at the wonders of the West Coast. Part of our leisure time was spent eating bacon which led Commander J to lament the current state of affairs regarding bacon. We both felt that bacon is not revered adequately and its status needs to be elevated. Bacon has no season. Bacon can be eaten on its own, with egg, with lettuce and tomato, with avo, in a sandwich, wrapped around scallops, diced into pasta sauces, added to salads, baked into croissants, added to pâtés, made into jam and I'm just getting started. If you are from the United States you probably have a fetish for syrup with your bacon or even candied and chocolate dipped rashers. Americas NATO allies across the Atlantic have an fondness for slathering HP sauce onto undercooked slabs of bacon and encapsulating it in well buttered white bread, adding further insult to injury by calling it a “butty”. The Italians at least have some style and passion. For starters they don't call it bacon but rather pancetta and it is NEVER injected or pumped with any liquid. It is flavored with herbs and spices with each producer using his own unique combinations. They also make a bacon from the cheek called Guanciale which is fattier, tastier and comes into its own in a carbonara sauce. The French never really took to the bacon revolution preferring to chop and dice their bacon. Perhaps the French bacon lovers never made it out of the Bastille. Parts of Gascony do make Ventreche which is similar to rolled pancetta but is not widely used in French cookery. For all their foibles, the one thing that our European friends have in common is an understanding of quality when it comes to bacon. 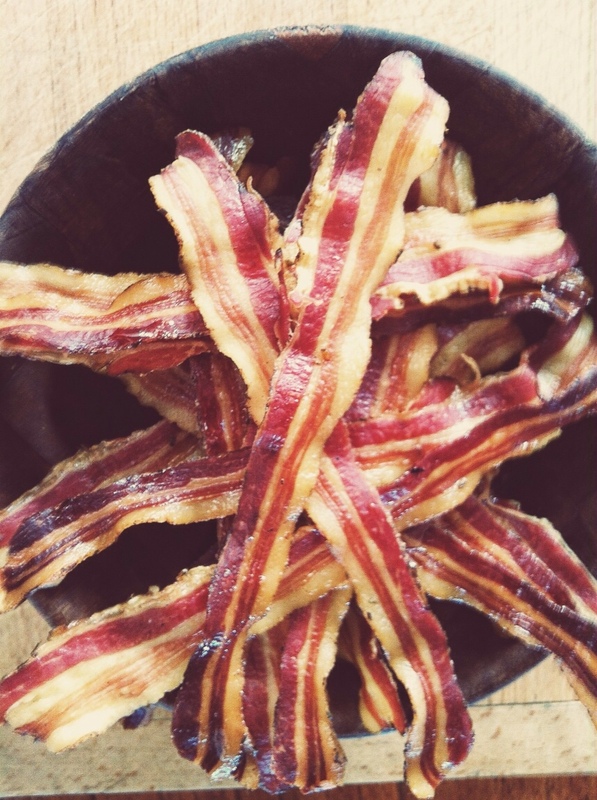 Even the supermarket shelves in London offer dry cured bacons with a multitude of different options – unsmoked, apple smoked, hickory smoked, maple cured, thick cut and so on. Unfortunately the bulk of local offerings are loaded with water and flavored with smoke from a bottle. They compete on price in a market that has little differentiation and not enough discerning customers. To address this travesty the Commander and I have embarked on a collaboration to raise the status of bacon. 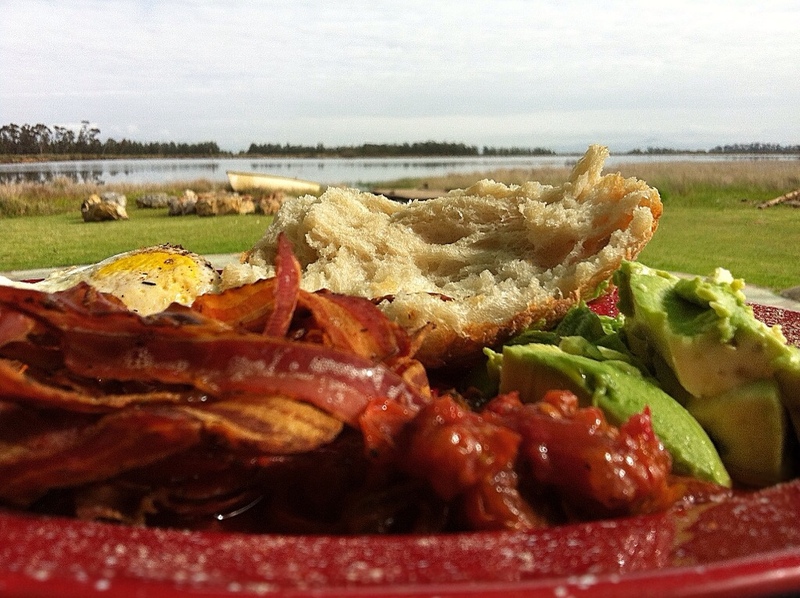 My alter ego, the boss of bacon has a twitter (@bossofbacon), Instagram (bossofbacon) and Pinterest (bossofbacon) accounts set up and will be featuring bacon pictures taken by the Commander as well as recipes and bacon ideas to provide inspiration. We have already posted a few pics to set the tone and will be backing it up with some interesting and exciting new bacon products for the more adventurous. But I digress, back to cousin James and the reason for this blog post. After typing the title it occurred to me that he would be unable to stop himself from launching forth and I look forward to his comments below. Britannia Baycon, Rule Britannia bacon, bacon bake on – you can see I'm just an amateur pun crafter. 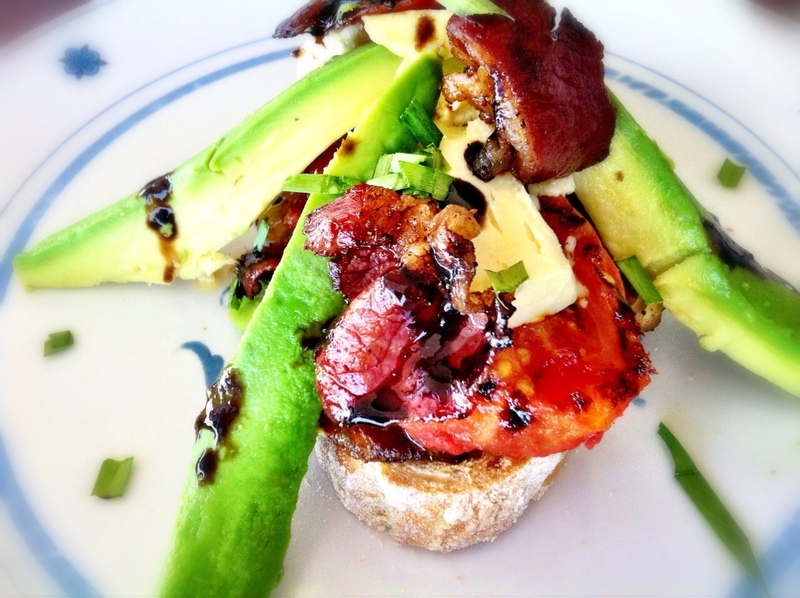 This entry was posted in Welcome and tagged bacon, boss of bacon, Britannia Bay, charcuterie, cured meats, food, pasture reared. Bookmark the permalink. Nice post! This is not spam, you know why? Because I read nearly this whole post near to the end. I enjoy your post, it’s really nice. Continue the work. I’m also trying to get my blog around, so would you check out my blog? I’m just a 13 year old that expresses his daily life dramatically or in an entertaining manner. Plus, my blog is a “freedom of speech” blog, so you may type whatever you want in the comments and I will not edit! Thanks! A follow would be MUCH appreciated. 🙂 Bye! Just hurry up and bring home the bacon! Ah cousin Richard, you are indeed a shining bacon in an otherwise dark West Coast culinary landscape. Nice work Cousin. 7 minutes including the time taken for electrons to travel. Erm I meant literary landscape – apologies to the many very good eateries and foodies in that area. Jeez, that slip could have been disastrous! I wouldn’t have been able to venture near the Brittania Bay KFC again! No you are safe. There are no eating establishments in Britannia Bay. Thus proving the veracity of my first comment. 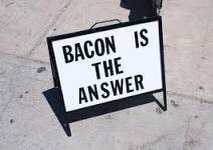 Bacon is indeed the answer Richard! I’m from France, and although we use this part of the pig a little differently, the taste remains the same and is a must in many dishes (especially country style soups in the South West where I’m from) Great post!